Finish your Instrument Rating or build instrument proficiency during a 3-day, 2000 mile cross country training experience. Get 7 days of individualized experience for your training investment. Gain real confidence working the IFR system with airline style routes. Finish your instrument rating or IPC and build IFR skills in your aircraft. Learn important skills to keep you safe and increase your skills. Get more than current, get proficient. Focused training which trains you to accomplish any approach, rather than repeating the local approaches until you memorize them. Build IFR skills in your aircraft - in an accelerated format convenient to your schedule. Experts in Cirrus, Mooney, and technically advanced aircraft/glass cockpits. Want a real IFR workout? If you're interested in finishing your instrument rating or gaining solid experience in the real world of IFR, here's a unique opportunity for an accelerated program for aircraft owners that is completed in 3 days. This Southeast Trip is a flying adventure, traveling up the east coast, down the Blue Ridge Mountain chain to the Great Smoky Mountain, through the heartland, and back down through the Mississippi Valley. You will gain the experience of flying over 2,000 miles and over 20 flight hours. Upon our return, you'll receive your IPC or endorsement for the checkride.None of the other accelerated programs provide the comprehensive, high quality learning materials: the Oral Exam Prep Kit and the Instrument Rating Pre-Checkride Review workbook. In addition, you'll enjoy spectacular scenery, gain valuable experience by training away from your local airport and receive professional instruction in a variety of flight conditions. 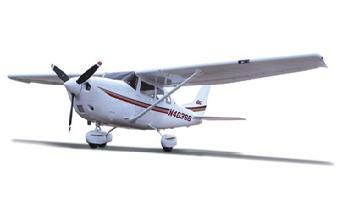 This training experience gives you the confidence you need to really use the IFR system. You'll operate in the environment like a professional by focusing on the practical aspects of instrument flight. You will also get a chance to really learn some of the most challenging instrument approaches in the country, performing them like the professionals. Your orientation includes ground instruction, briefings, and flight planning. You will receive up to 24 hours of one-on-one flight instruction on some of the most challenging instrument approaches in the Southeast. When you are not in the air, you will learn techniques that will simplify otherwise complex procedures such as procedure turns, holding pattern entries and many others. You'll receive over 10 hours of ground instruction during the course of the program... you will be confident you can pass your IPC or checkride. In all, you complete at least 15 approaches, many with SID's STAR's and holding patterns. You'll be astonished at how much you will learn. All of this adds up to a true flying adventure that will make you a more knowledgeable and confident pilot... plus it's a whole lot of fun! You are PIC for the entire program receiving PIC credit in your logbook for 100% of the flight time. Other routes are available including trips to Mexico, Bahamas, Canada, or Mountain Flying. See Trip Reports for examples of previous student accomplishments. This program starts anywhere along the route. Common start points have included Miami, Tampa, Orlando, Atlanta, Raleigh, Roanoke, Nashville, Birmingham, and even St. Louis once. All of the time spent during the training is geared towards finishing your instrument rating or obtaining an IPC if you are already rated. This program starts on a Friday. Check the schedule for availability. Other routes & start dates are available for this highly individualized program. See Trip Reports for examples of previous student accomplishments. For further information, see the Frequently Asked Questions. Extra days available at $450 per day. Deposit Required: 50% to secure the date with the balance paid at the outset of training. Payment via bank check/money order. Weather delays during training happen sometimes, but in the event weather causes a delay in your training, there are no additional instructional charges. Certain aircraft, because of their complexity, require additional time to become confident in real world IFR conditions. If your aircraft burns Jet-A, has more than one engine, you get an extra day of instructor time. Free. Unlimited flight and ground instruction, during the allotted training days. Aircraft or anything related to the aircraft (Fuel, Oil, Insurance, Rental, Gov Fees, Repair, Etc), Meals, Ground Transportation & Lodging for you & your instructor, entertainment or any personal expenses you might encounter. Evidence of citizenship: passport or birth certificate with government issued picture id. Sunglasses & Shorts during the Summer. The balance due for your training program. The LOANER materials to be returned.